Initially upon hearing the name, some people may instantly question what bone meal is or how it could ever be a useful product. While the name can be concerning, bone meal is a mineral supplement that is widely used in the agricultural sector as a nutritional additive for animals and as an organic fertilizer for plants. It is an easy to use source of both phosphorus and calcium, making bone meal what many consider to be an indispensable product in livestock and plant nutrition. History of Bone Meal. Why do you need it? As long as humans have been growing plants for food, there has been an understanding that natural products could be added to the soil to foster better plant growth. Over time as technology advanced in the sciences there became a switch to using commercial fertilizers to supplement the soil. Around 1840, the idea of dissolving animal bones in sulfuric acid to extract phosphorus nutrients where within was suggested by Justus von Liebig, who is often described as the “father of the fertilizer industry”. Liebig promoted the idea of essential nutrients needed for all plant growth and the law of the minimum -- how plants relied on the scarcest nutrient resource instead of the total resources available. He also recognized that plants could benefit from substituting chemical fertilizers for the natural products being used at the time and is credited for developing the first nitrogen-based fertilizer. The theory of plant essential nutrients is a fundamental aspect of plant nutrition today. There are a set of nutrients that are essential for plant growth to occur: nitrogen, phosphorus, and potassium are the major nutrients; calcium, magnesium, and sulfur are the secondary nutrients; the micronutrients are boron, chlorine, copper, iron, manganese, molybdenum, and zinc. All of these nutrients play specific, sometimes overlapping and sometimes different, roles within the plant. If any of them are deficient the plant will be affected. Over time the levels of plant essential nutrients found in the soil profile deplete for a variety of reasons: plant uptake, water runoff, soil erosion to name a few. As these levels are reduced plants will show deficiency symptoms if they don’t have enough of the essential nutrients available for uptake. Hence why it’s important to reintroduce nutrients to depleted soils through the addition of fertilizers and soil amendments such as manure or compost. Shortly after Liebig’s suggestion to use bones as a fertilizer base, the process was utilized in Britain, and large-scale production and international trade of bone meal propelled agricultural development in 19th century England. Bone meal is considered the oldest phosphorus fertilizer. So what is bone meal? Bone meal is a natural fertilizer source of phosphorus and calcium that is slowly broken down and released over time in a form that is readily available for plants. It has been used as a staple soil amendment by gardeners since its inception and is known for reducing transplant shock and encouraging the development of strong, healthy root systems. It also helps to increase winter hardiness in plants through the development of strong root systems. Why is bone meal popular as a plant fertilizer? Bone meal is known as an organic fertilizer rich in phosphorus and calcium. Adding phosphorus and calcium back to the soil is important as both nutrients play significant roles in plant growth. Phosphorus is known to stimulate root production and flowering but it does much more in the plant. The most essential function of phosphorus within plants is in energy storage and transfer; almost every metabolic reaction in plants uses phosphorus in one form or another. Energy is obtained from photosynthesis and the breakdown of carbohydrates and then stored in phosphate compounds to be used later used by the plant in growth and reproductive processes. Calcium is needed in lesser amounts for plant growth but still plays a vital role. It is involved in cell elongation and division resulting in healthy cell formation and is crucial in transport of nutrients within the plant. A calcium deficiency within the soil, or within the plant, causes plant growth to cease. Another important factor is that bone meal is a natural fertilizer. In a changing world, where resources are scarce, and people are always looking for safe and healthy produces, no wonder that bone meal still has its place. 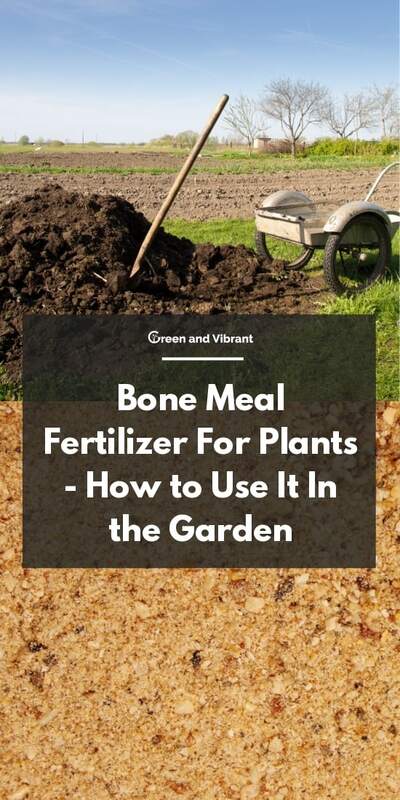 Bone meal is exactly what its name states: a finely ground powder -- used as an organic fertilizer -- that is made up of ground animal bones and has a consistency similar to that of baking powder. Typically beef bones are used but it may contain the bones of any animal commonly slaughtered. Fertilizers are classified based upon their content of macronutrients since they are needed in the highest levels. Every label will include three conspicuous numbers that are called the N-P-K ratio and reflect the content of each nutrient by weight. A bag of 10-10-10 fertilizer has 10% nitrogen, 10% phosphorus, and 10% potash. The N-P-K ratio on bone meal can vary slightly depending on the manufacturing process and the bones used. Most of the commercial products available on the market have a ratio close to 3-15-0, making them an excellent source of slow-release phosphorus fertilizer without adding an abundance of nitrogen or potash (i.e. potassium). One of the benefits of using bone meal to supplement phosphorus and calcium is that it can be used in a variety of growing media. It works well when growing plants in soil as well as in soilless hydroponic growing systems. No matter the growing media, bone meal is best used to fertilize flowering plants and root crops such as carrots, onions, beets, radishes, turnips because of the role phosphorus plays in flowering and root development. 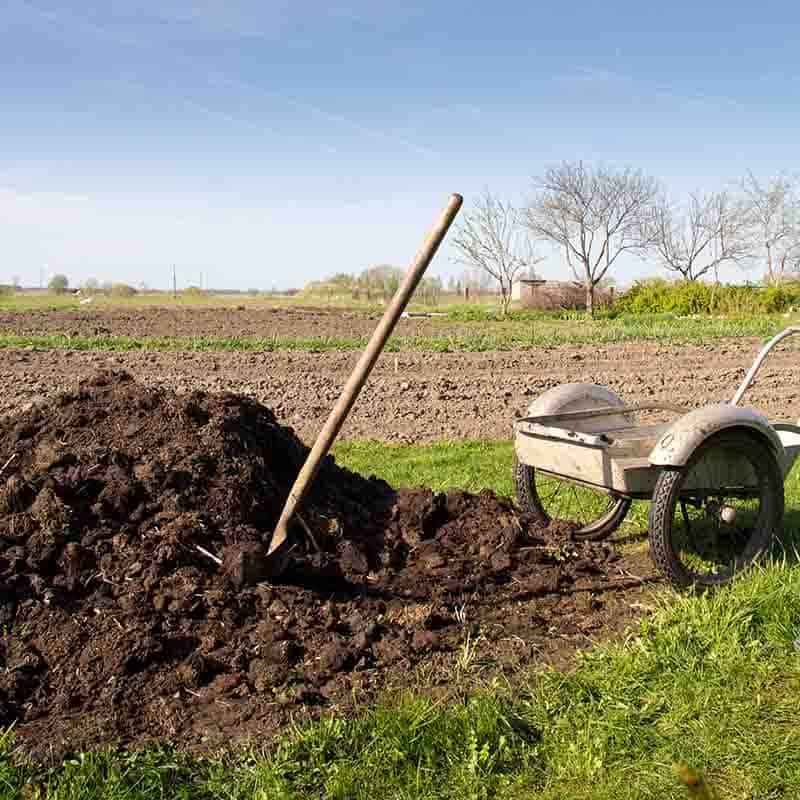 Many organic sources of soil amendments are high in nitrogen but add very little phosphorus or other nutrients to the soil; with its low nitrogen levels, bone meal is used by many organic gardeners to complement the addition of amendments such as manure or compost. In order to provide enough phosphorus to benefit plants, it is recommended to apply bone meal at a rate of approximately 10 pounds per 100 square feet of soil. When planting a new specimen, or transplanting something in the garden, sprinkle approximately ½ cup of bone meal in the bottom of the planting hole, working it into the soil slightly. Then continue on with the process of planting until the hole is filled in completely with soil. If you are applying bone meal to an already established garden, broadcast bone meal over the soil surface at the recommended rate of 10 pounds per 100 square feet of soil. Incorporate it into the soil and then water well. A single application should last the entire growing season because of its slow release. The key to successful hydroponics systems is nutrient management within the water source since the water is responsible for providing all of the nutrients the plants need. Phosphorus is recommended at 30-50 ppm elemental P in the nutrient solution; calcium is needed in higher concentrations and recommended at a level of 80-240 ppm in the nutrient solution. Bone meal has gained popularity in hydroponic systems because of its organic nature. Historically many of the fertilizers or nutrient sources used to create the proper growing solution have been synthetic, rendering them unusable in an organic setup. Finely ground bone meal meets the criteria for an organic fertilizer and is highly water soluble so phosphorus and calcium are available to the plants quickly. Adding bone meal to a hydroponics system isn’t quite as straightforward as it is when used as a soil amendment. This is partly because hydroponics systems can be quite temperamental and vary wildly based on the individual system. Because of this, there isn’t a standard recommendation like the 10 pounds of bone meal per 100 square feet recommended for soil. Bone meal needs to be added to hydroponic solutions carefully, similar to any other nutrient source. It’s important to test the nutrient solution and measure the parts per million of both phosphorus and calcium in the water, adding nutrients as needed and watching the resulting concentrations. Just like any other source of nutrients, there are some precautions to heed when applying bone meal as a soil amendment. These precautions should be noted to maximize its benefits while minimizing any possible negative side effects. 1. Check the soil pH before application. One of the most important things to consider is the pH of the soil you are working with. Soil pH needs to be below 7.0 for the nutrients in bone meal to be available for plant uptake. Alkaline soils won’t see any benefit from its addition because of their high calcium content; the phosphorus and calcium bind to create calcium-phosphate which is unavailable to plants. 2. Applying too much can hinder root uptake. Organic sources of fertilizer often rely upon fungi in the soil to make the nutrients bioavailable for plant uptake through the roots. In the case of phosphorus, mycorrhizal fungi penetrate the plant roots and break down the organic compounds for easier absorption and utilization of phosphorus. In turn the plant supplies sugars made via photosynthesis to the fungi, establishing a symbiotic relationship. Over application of phosphorus can lead to problems with mycorrhizal fungi and nutrient uptake into the roots. The plant senses the overload of phosphorus in the soil and prevents the mycorrhizae from penetrating the roots; the soil quickly adsorbs the phosphorus as it is released from the bone meal, making it unavailable for plant uptake. 3. Minimize pollution of nearby water sources. Having too much phosphorus in the soil can also cause many problems for nearby waterways and underground water sources through runoff. Phosphorus can either attach to the soil particles and move via erosion, or can dissolve in the runoff water directly. Once phosphorus gets into water sources it can cause eutrophication -- an excess of nutrients in a body of water that triggers a dense growth of algal and plant life and depletes the oxygen within the water. 4. 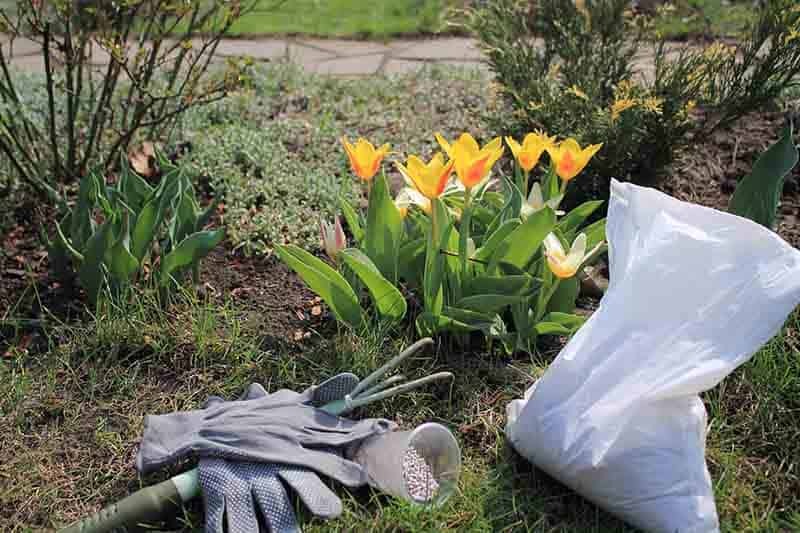 Incorporate well into the soil to prevent attracting animals. As mentioned previously, bone meal is either applied by broadcasting it across the soil surface or mixed into the bottom of holes when planting. When it used as a top dressing the bone meal can attract dogs, coyotes, raccoons and other carnivorous or omnivorous animals because of its smell. If consumed in large amounts it can clump together in the animal’s digestive system, obstructing the intestinal tract. Make sure to work it into the soil well by either tilling or raking and then watering it in thoroughly to dissolve any powder left on the surface. Bone meal is a natural, organic fertilizer source commonly used in soil and hydroponic systems to provide phosphorus and calcium to plants. Its slow release formula provides slow-release bioavailable nutrients for up to four months, making it a great amendment to use if you need a high-phosphorus, low-nitrogen fertilizer source. Following some basic precautions will ensure negative effects are kept to a minimum.